Hey lovelies. 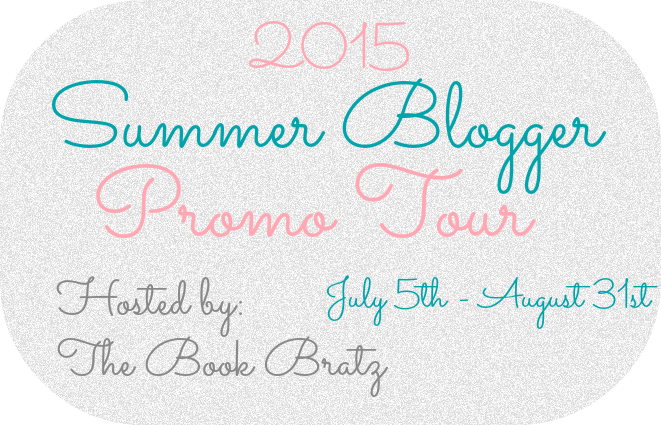 Today is the start of The Summer Blogger Promo Tour. On every Sunday of July and August there'll be a new blogger featured on our blog. 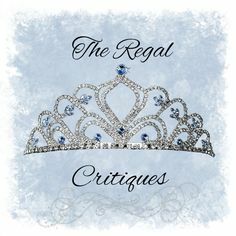 All of them made downright amazing posts so Ruzaika and I are very excited to have them on our blog. Without further ado, let me introduce you to Mia! Hi everyone! 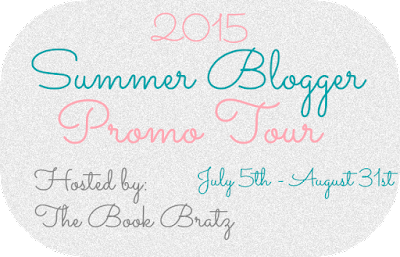 My name is Mia from the blog Mia in Narnia, and I'm really excited to be here today as part of the Summer Blogger Promo Tour! I love to write, and I am currently working on editing my first novel, so today I'm going to be talking about my writing story as well as giving some tips that have helped me in my work. Ever since I can remember, I've wanted to be a writer. I can't recall when I started writing stories in my head, or when I decided that what I really wanted to do was share those stories with the world. I've loved books and stories ever since I was old enough to know what they were, so I guess it only seemed right to me that I should make my own. For years I've been writing at every opportunity I can. I've written hundreds of short stories and poems and songs, scrawled on sheets of paper scattered around on my room or stuck forever on the hard drives of old computers. Even though a lot of the stories I started ended unfinished and most of them will never be seen again, it's nice to know that writing has always been a part of my personality. I was always that weird kid who read books under the desk and rejoiced when the teacher said we were going to have a creative writing lesson. It was November 2014 when I decided to start talking myself out of it and finally dedicate myself to writing a novel. Inspired by the people I saw taking part in NaNoWriMo (national novel writing month, where people challenge themselves to write 50,000 words of a novel in 30 days), I started to plan out my story and characters. In January 2015 I started writing, and by the start of April my first draft was finished at just over 100,000 words. In those three months I learnt more about my writing and myself than I ever had before, but most importantly I learnt that I could do this. I could dedicate myself to a novel long enough to finish it. I learnt that writing novels wasn't just something I could do, it was something that I loved to do. All of a sudden, my dreams of being an author seemed achievable once again. And now I'm more determined than I've ever been to make them a reality. As I said at the start, I am currently in the process of editing that very rough first draft into something that resembles a finished, readable novel. It's a difficult process, but like writing my first draft it's teaching me so much about who I am as a writer and making me believe that maybe this could be what I do for the rest of my life. I'm a very long way from being published (I'm only 15, after all! ), and it might not be until I've written twenty novels that I dare to send one off and hope an agent will pick it up, but I really am determined to get there. I know it's a tough industry and that I'm going to have to get used to rejections and negative feedback, but I think I can do it. After all, this is what I want to do with the rest of my life. I don't think I'm the most qualified person to give writing advice (I honestly don't know what I'm doing myself), but I will share some tips that I've picked up from other people that might help some of you out there. First of all, write because you love it, not just because you want to be a famous author or something. Write as often as you can, even if it's only five minutes a day. Don't forget to read as often as you can too, sometimes other people's words are the most useful thing for inspiring your own. Always write down any ideas you get, even if it's the middle of the night (you won't remember it in the morning, trust me). Write about what you want to write about, not what you think will sell, and don't be afraid to write something totally wacky and different. Finally, and most importantly, don't let anybody tell you that you can't do it. Don't let yourself tell you that you can't do it. If you love writing, and you set your mind to it, you can do anything. We'd like to thank Mia for being here today and for sharing her writing story with us. I'm sure it's something that inspired many of you. If you have any questions for her, now's the time to ask them away! Want to talk about your writing story or experiences as well, or perhaps your mere dreams of becoming a writer? Share them with us! We'd love to hear about you and I'm sure Mia'll give all of you an ego boost and some of the positive energy that kept her going towards her goal. If you'd liked Mia's post as much as we did go ahead and check out her blog. Hi Mia! I'm also a writer, and I'm so happy to hear that you love writing too! I absolutely love meeting new writer-bloggers (?) in the community ^_^ It's been a while since I've finished writing a novel (it's been 4 years! ), and I've been pushing myself to finish what I have in mind, but I never get things done. But this year, I know I'll be able to finish something. Counting on it <3 Lovely post! I'm hosting a story by The Book Bandit for the SBPT this year...I hope there will be a chance for me to do the same with you one day (maybe for the next SBPT? ), unless you've already become a published author by then, that is. Hey, it's never too late, but it's never too early either ;). Most of all, I really hope to read your books in the near future! Go for it! (Sorry for the deleted post ladies. I was late in spotting a mistake). This was a fun guest post, Mia! It was fun reading about your own writing journey and good luck with your first book!